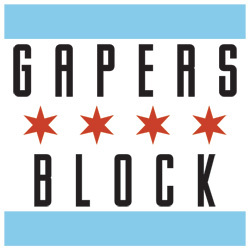 Gapers Block went live on April 25, 2003, with a Merge post about the Berghoff adding seats in the bar. The first couple Fuel questions were kind of silly, but got down to business soon enough. Chicago Voz interviews Akito Tsuda, a Japanese photographer who just published a book of photos of Pilsen in the early 1990s. Early on, we ran fiction in Detour, our features section. One running series was The Critic, which was an Onionesque collection of "real reviews of fake things," such as restaurants, movies, musicals, fireworks shows and music festivals. They never failed to fool a few people. In a NYTimes op-ed, Megan Stielstra juxtaposes tonight's Chi-Town Rising event, which was once free but now costs $99-150 to attend, with the protests that are bringing people together for a very different reason. Meanwhile, Rick Perlstein writes in the New Yorker about "The Sudden But Well-Deserved Fall of Rahm Emanuel." Presidential candidate Jeb Bush commented on the decision not to indict the police officers who killed 12-year-old Tamir Rice yesterday, saying, "I think that Chicago's got a lot of work to do to rebuild trust. The level of violence is abhorrent." When reminded that the Rice case was in Cleveland, he said, "I'm sorry, my bad." I'm stealing the headline from FoGB Veronica Arreola, because it is perfect. There are so many Best of lists at this time of year, but if you want to know 15 (thankfully there are far more) women who did awesome stuff in Chicago this year, then go read about them. They're all awesome. As usual, the CTA will be free tonight from 10pm to 4am, courtesy of MillerCoors. Comedian Owen Weber takes on trolls in the song "How the Troll Stole YouTube." Parents may not be thrilled by the 2016-17 school schedule, which thanks to a quirk of the calendar has winter break starting on Christmas Eve and spring break ending on Easter. 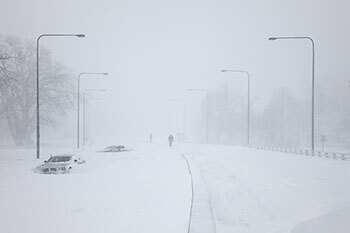 Hale Goetz writes about discovering that photos of her have gone viral on Reddit. « See Page 2 for more entries. 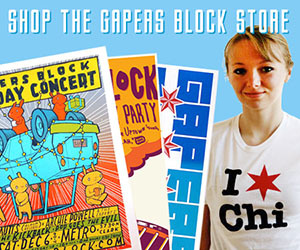 Gapers Block is a Chicago-centric web publication providing information on news and events around town. It is written by and for Chicagoans and those who love the city — its mission is to get you to slow down and check out all the cool things around you. You can learn more about the site and its staff, as well as how to advertise with us, submit something for publication or join the mailing list. We also sell a few things. If you really like us, we'd also appreciate your support.